As I already mentioned, this wasn’t just your standard, run of the mill Microsoft Hardware day. It coincides with the 25th anniversary of the Microsoft Hardware Department and was a special celebration of a quarter of a century of Microsoft peripherals. So, given that Microsoft has been making mice and keyboards for three years longer than my entire life, you’d expect them to have made some fairly significant advances, right? Well, you’d be right and at no point is Microsoft’s progress more noticeable than when you look at the first products to come out of Microsoft Hardware. 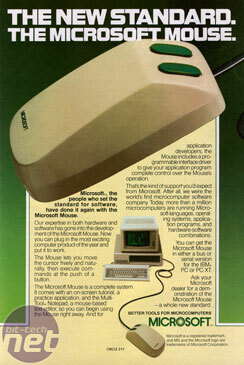 The very first hardware product that Microsoft ever made was…a mouse. 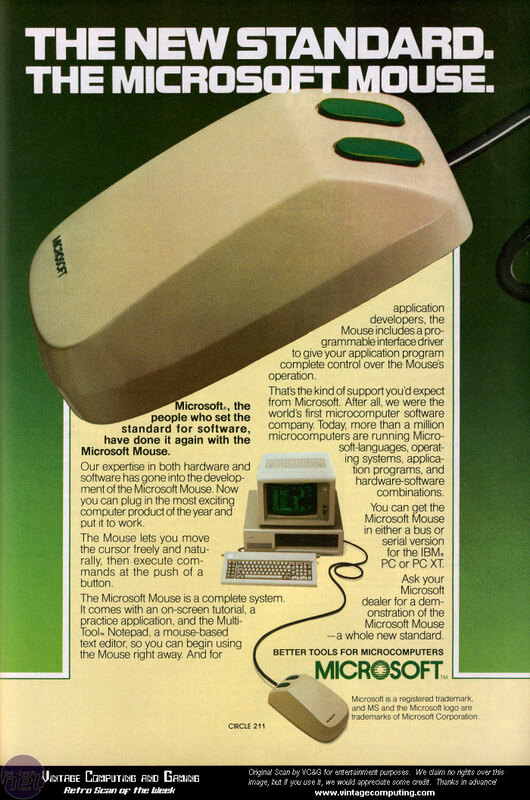 Not just any mouse though – a two-button mouse designed almost specifically to work with the first version of Microsoft Word. We actually got a chance to look at one of the original models, stained with a streak of biro ink and accompanied by a manual for Microsoft Word. Let me tell you, I wouldn’t use that mouse nowadays if I was paid to. The original two-button mouse, which has no other name, is ugly, heavy and uncomfortable. The angles on it are all rough and abrupt and the tracking ball inside it feels like it’s made by solid lead. Maybe it's because my wrists have gone weak thanks to using laser mice (and having a girlfriend), but I found it remarkably heavy even by the standards of yesteryear. Worse, the buttons fail The Martin Test and wobbled awfully, feeling horrible to click even once or twice. Still, that’s all old stuff and it’s clear that Microsoft has pushed forwards since then. The company's reps at the event were quick to point out how much Microsoft has moved on since then, pointing out how it pushed forwards to develop the world's first scroll wheel, magnifier buttons, optical technology and four-way tilt wheels. All that is especially interesting when you look at the dates too because, although the Microsoft Two-Button Mouse was released in 1983, the next advancement didn’t come for another decade when Microsoft unveiled the first “affordable ergonomic keyboard”. In fact, the really interesting stuff didn’t come for a full 19 years after the first mouse, when Microsoft launched the first commercially available Bluetooth desktop. Bluetooth proved to be one the most important elements of the entire show actually, with the hardware team very keen to point out how much they believed in Bluetooth and that it was central to the future of peripherals, both in the office and in gaming. The team stated again and again how their in-depth and continuous research showed that wireless peripherals were one of the main things customers looked for in the modern market. Oh, did I say the modern market? I guess that must be because it’s time to start talking about Microsoft hardware in the here and now and take a look at the process by which Microsoft designs and creates its peripherals.